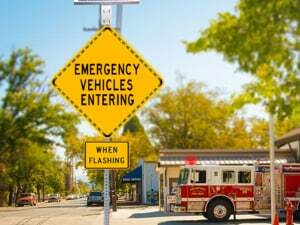 SignAlert™ Sign Enhancement Systems – intelligently engineered to maximize accessibility and effectiveness on any roadway. 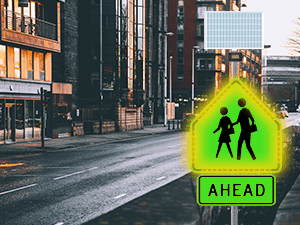 Combining the power of TraffiCalm logic and flashing LED sign rings, SignAlert™ accomplishes what traditional traffic signs alone cannot- intuitive calming produced by an easy to install, ergonomic solution. Real-world effectiveness: improve stop sign performance by 52.9%! Offering unparalleled flexibility, TraffiCalm’s SignAlert presents the next generation of calming LED traffic signs. Our directive was simple, make full use of existing infrastructure, signage, and hardware; we resolved to develop a “ring” that mounts to the existing sign paired to a controller that mounts to any post with 2 bolts or banding. 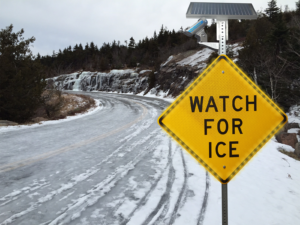 The result is accessibility- any road, every budget SignAlert works. 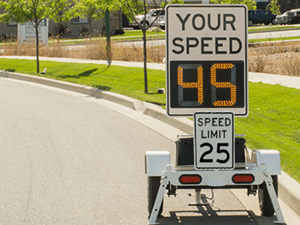 Drive Feedback Signs– Embraced by school boards, law enforcement, and homeowners associations (to name a few), TraffiCalm’s radar speed signs are proven to reduce speeds day after day. Integrating our highly efficient LED, full matrix displays with cutting edge radar detection has proven the successful formula for slowing down drivers. Since 2001 TraffiCalm has been leading the charge for truly innovative calming products. Guided by our overarching standard of quality, we engineer and build solutions in-house to achieve real results for real roads. Driver Feedback is where TraffiCalm started. 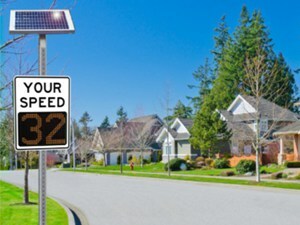 Applying specific, quality engineering to speed radar signs was our first goal. What we developed has become widely accepted as evidence that calming technology has a place on our roadways. Wrong Way Alert- Accurate detection, alarming warning, reliable notification. We accomplish these three non-negotiables by leveraging patented collaboration logic, ubiquitous radar technology, and the fastest wireless connectivity. Across America Wrong Way Alert is stopping drivers dead in their tracks. Wrong Way Mitigation- defensive driving aside, wrong way accidents a pervasive problem without a definitive solution (to the tune of 300+ deaths per year on American roads). 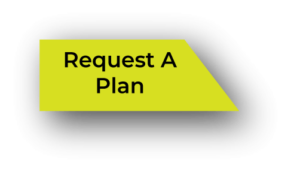 Our answer to the overwhelming request for a solution is to stick with what we know best. Collaborating radar detection backed by our patented detection logic. 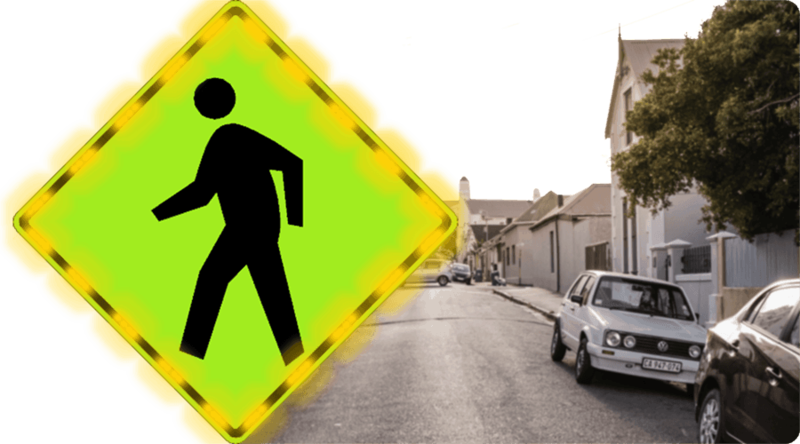 Our goal is to mitigate; stop the wrong way driver from ever entering a dangerous roadway. Of equal importance, we deliver reliable, time-sensitive notifications to any device equipped with email, text messages, or a web browser. Being recognized as an industry pioneer is the result of our innovations with Driver Feedback and is anchored in our Commitment to Safety.